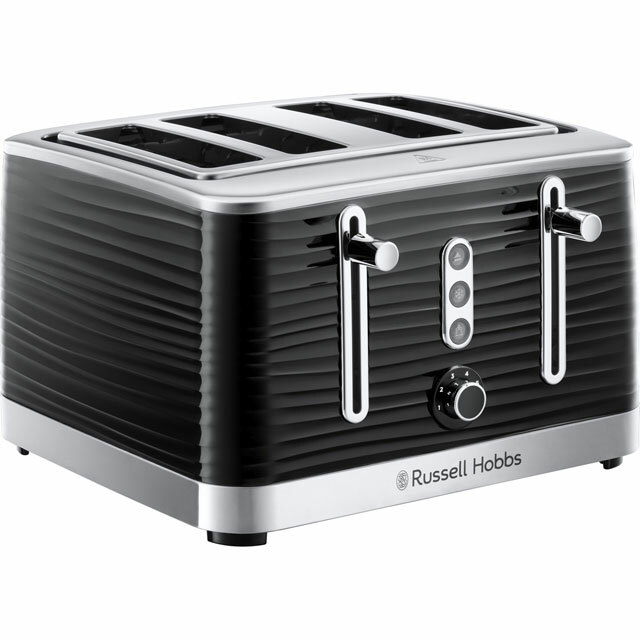 A stylish design and great features make this cream Russell Hobbs 4-slice toaster a welcome addition to your worktop. Thanks to the handy reheat function, you’ll never have to worry if your breakfast pops up before you’re ready on those busy mornings. 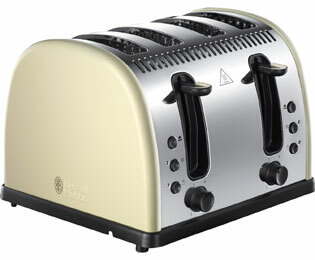 There’s also a useful defrost feature which lets you toast frozen portions of bread without needing to thaw them first. It has extra-wide slots as well, so there’s never a problem if you enjoy a thickly-cut slice. This model also has a removable crumb tray, so cleaning up is simple as well. 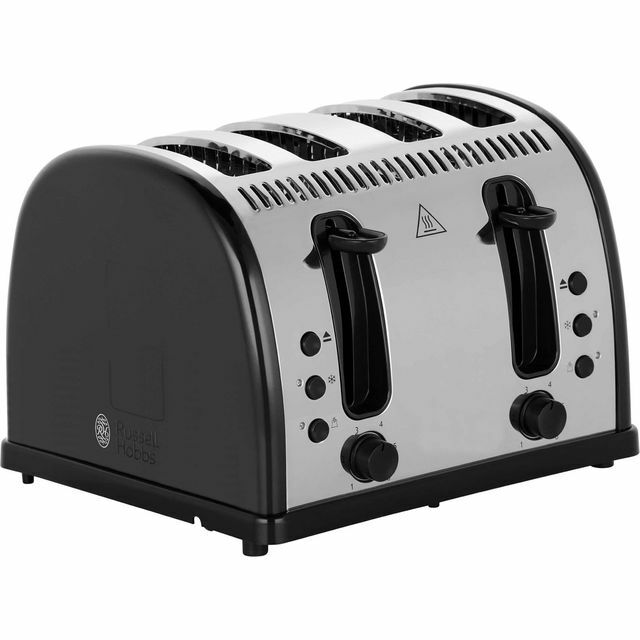 Very good and quick toaster.only downside is it does not toast the full length of the slice when inserted vertically and will not fit some breads horizontally. Beautifully evenly toasted bread. 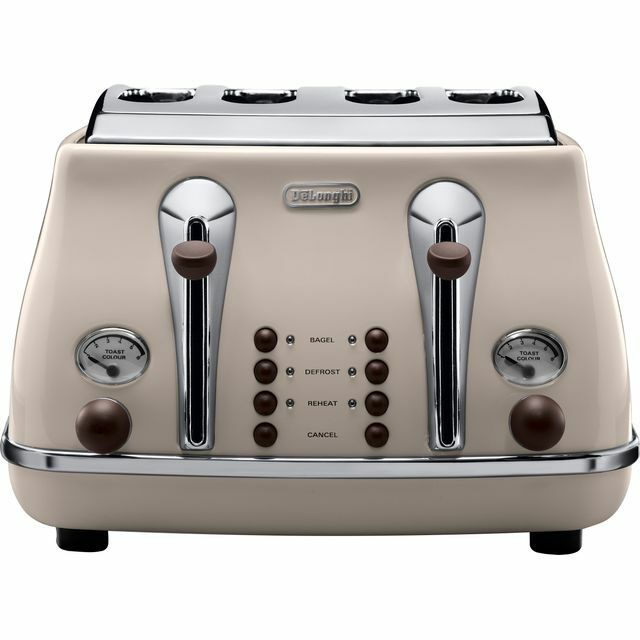 This toaster feels and looks much more expensive than it was. 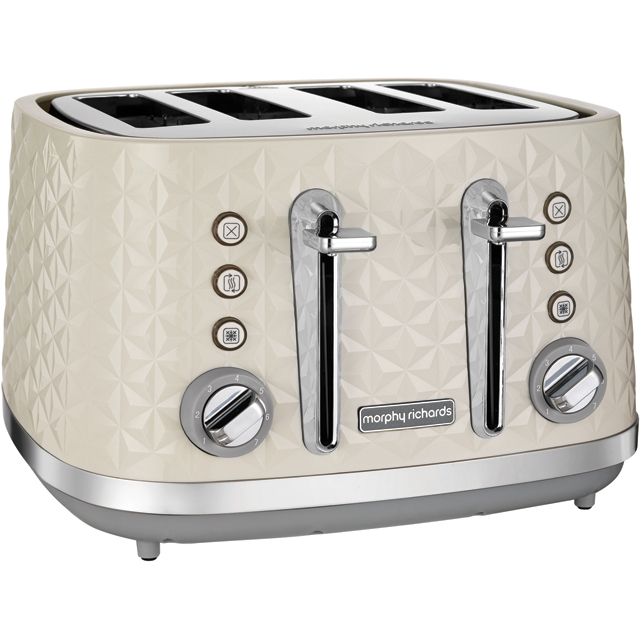 I love this toaster - it looks great and work as advertised. It feels solid and toasts evenly. Only thing that could be better would be to be a bit deeper, but maybe I should just get smaller loaves of bread!